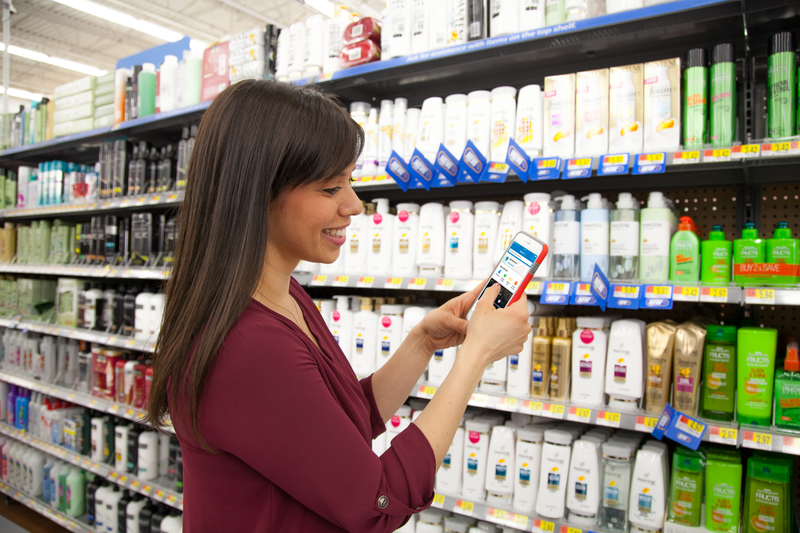 Improved Experience: Introducing new technologies like Check Out With Me, to give customers a faster checkout experience, digital Store Maps on the Walmart app to help customers find everything they need quickly, and a redesigned Walmart.com to make it easier than ever to shop Walmart. Expanded Assortment: Offering its best and broadest assortment of items it knows customers are looking for, including new brands that have never been available before at Walmart across fashion, home, electronics and toys. More Items for Free, Two-Day Shipping: Making millions of items from marketplace sellers eligible for free, two-day shipping without a membership fee. * This is in addition to the millions of items already offered by Walmart. Check Out With Me: To make checkout easier, starting Nov. 1, Walmart is positioning associates in the busiest areas of its stores, like the garden center, electronics or in action alley, so customers can bypass regular checkout lines and pay for everything right in the department they are shopping. Associates will help customers pay and go by simply swiping their credit card and providing them with a paper or electronic receipt for their purchase. Store Maps: The Walmart app now features a store map uniquely created for each Walmart store, helping customers quickly and easily find everything from the hottest holiday toys to everyday essentials. Just open the app in store or at home, search for the item, and the map will show the item’s exact location and new in-store signage will help customers quickly orient themselves within the store. Store maps just launched in most Walmart stores and will be available in all stores in early November. New Online Shopping Experience: This will be the first holiday season during which customers can shop Walmart’s updated, more modern website, which will deliver new shopping solutions that will help customers cut through the clutter and discover what they need for the season. Walmart.com is introducing curated and editorial content that will make its assortment more discoverable. Content will range from a new deals hub, which will refresh regularly with highlighted deals of the moment, to gift guides and content like the monthly Ellen’s List with Ellen DeGeneres. In home and fashion specifically, Walmart.com is refreshing the category shopping destinations to deliver holiday-specific experiences. Easier Marketplace Shopping: New this holiday, customers can receive free, two-day shipping on millions of items from marketplace sellers without a membership fee. Walmart is also simplifying the returns process for marketplace items, including allowing customers to bring marketplace items to any one of its 4,700 stores for returns starting in mid-November. Walmart has spent the last year expanding its assortment in stores and online to offer customers its widest assortment of top gifts at the season’s best prices. On Walmart.com, the retailer has added more than 2,000 brands to offer a wide range of options, from cashmere sweaters to premium electronics. These brands include De’Longhi and Braun in home, Sony XBR in electronics (launching in mid-November), and nearly 150 premium fashion brands available through the Lord & Taylor flagship store. In stores and online, customers will find new products from national brands like Ryan’s World and L.O.L. Surprise in toys, KitchenAid and Keurig in home, EV1 by Ellen DeGeneres in fashion, and Samsung and Bose in entertainment. Walmart’s America’s Best Toy Shop will be the place for the hottest toys at the best prices this holiday season. With 30 percent new toys in stores and 40 percent more toys online, customers will have hundreds of new toys to choose from, including Pomsies, Fancy Nancy, Hairdorables, and Grumblies, plus classic brands like Barbie, Hot Wheels and Transformers. Walmart shoppers can use its annual Toy Catalog, available in stores and online Nov. 1, to find the items they’re looking for in stores and on Walmart.com. 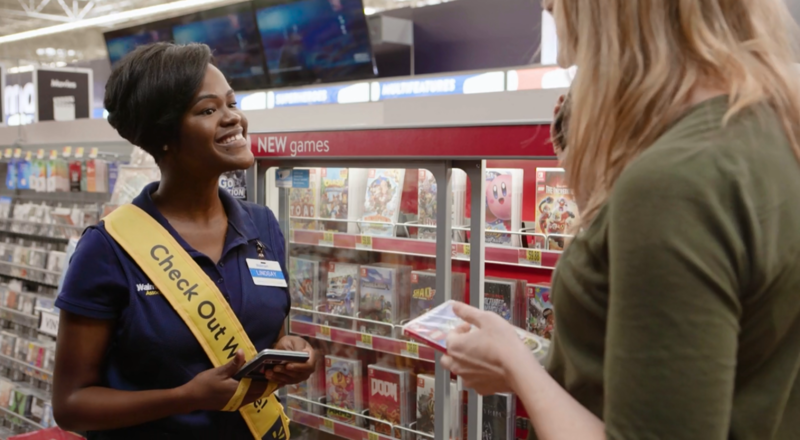 In-store customers will be able to experience Walmart’s assortment of top gifts first-hand with more events and product demos than ever before – 190,000 across the country from Nov. 3 to Dec. 24. Walmart will host its first event, America’s Best Toy Shop Wishlist Event, on Saturday, Nov. 3, from 1 p.m. to 4 p.m. in Walmart stores nationwide. At this free event, families can test the hottest toys, take pictures with Santa, pick up the kids catalog, posters, a LEGO catalog with stickers and more. *Free shipping within two business days on orders placed before 2 p.m., excluding weekends and holidays. Eligible items only. Min. order $35. Not available in AK, HI, Puerto Rico. Walmart Inc. (NYSE: WMT) helps people around the world save money and live better - anytime and anywhere – in retail stores, online, and through their mobile devices. Each week, nearly 265 million customers and members visit our more than 11,200 stores under 55 banners in 27 countries and eCommerce websites. With fiscal year 2018 revenue of $500.3 billion, Walmart employs over 2.2 million associates worldwide. Walmart continues to be a leader in sustainability, corporate philanthropy and employment opportunity. Additional information about Walmart can be found by visiting http://corporate.walmart.com, on Facebook at http://facebook.com/walmart and on Twitter at http://twitter.com/walmart.